The Hornby Island Educational Society (HIES) is a non-profit organization with charitable tax status that was incorporated as Society in June 1980. It is run by a Board of community volunteers and three ex-officio school staff. From 1993 to 2008 HIES employed a full time Coordinator to manage its many programs and services. Due to core funding cutbacks from School District 71, the Coordinator position has been eliminated. Since 2008, the Society has employed a part-time Executive Director and individual program Coordinators and staff. The Room to Grow – built using donated materials, labor, and fundraising. 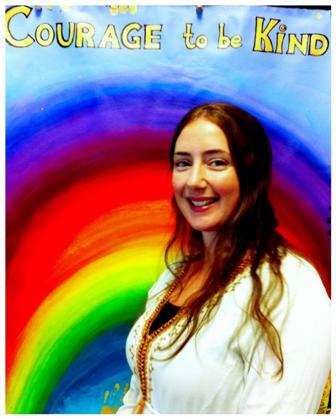 The Parent Advisory Council Executive became the Hornby Island Educational Society Executive. The Room to Grow building is built by the community using donated materials, labour and fundraising. The School Board leased the Room to Grow building as a classroom until the new addition to the Hornby School was built. The Hornby Island Educational Society/PAC were a very wealthy group and for many years held the lease income in GIC’s to be used for maintaining the building or moving it if ever necessary. The School obtains Community School status in 1992. A group of parents working with the HIES/PAC executive were interested in pursuing Community School status for the Hornby Island Elementary School primarily to increase community access to the building. A proposal was submitted to the School District and the group were successful in obtaining Community School status. The School District officially designated the Hornby Island Elementary School as a Community School. The HIES/PAC Executive hired April Lewis as the interim coordinator with the task of securing funding for a full time staff. Human Resources Development Canada provided a $25,000 Stay in Schools grant to HIES to support students who were at risk of not graduating. An additional $15,000 Employment Needs grant was also secured to identify barriers to employment and community skills and mentor base. Upon the suggestion of Joy Jeffries, the Hornby Island Community School became a member of the Association for Community Education in BC (ACEbc), an organization that supports the development of new community schools and the improvement of existing community schools. Grants from the Ministry of Education specifically targeting Community Schools were given. The Hornby School applied and received $75,000 to create and manage programs and services for its youth and families and community at large. The School District agrees with HIES to jointly employ the Community Programs Coordinator. Community School Programs Coordinator, Casey Doss. The School Board stipulates that a Community School Committee must be formed to oversee the programs and services that are offered through HIES/PAC. They also stipulate that a representative from the teacher’s union (CDTA), the school support staff union (CUPE) and the School Administrator must sit on this committee in order to ensure that their interests are represented. HIES continues to receive $75,000 annually from the Social Equity budget of School District 71 to coordinate and operate its programs and services. The Executive of HIES/PAC raises concerns about being responsible for such a large budget and the two entities agree to separate. Each group will have its own Executive. PAC will now be a regular Parent Advisory Council and HIES will oversee the many community programs that have been created under its Community School focus and will also manage all the assets of the Society. An Assistant Coordinator was hired to share the workload and shadow the Coordinator position. HIES receives $46,000 from the Social Equity budget of School District 71 after extensive lobbying to maintain funding. The challenge is convincing the School District Board members that our youth meet the criteria for “youth at risk” as laid out in the Social Equity budget guidelines. 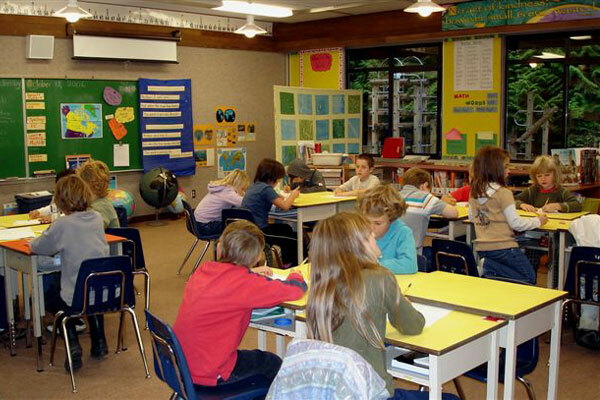 Hornby Island Community School Classroom. Clyde Woolman, Superintendant of School District 71, ends the District agreement with HIES to jointly employ the Community School Coordinator. HIES receives $46,000 from the LINKS budget of School District 71 after extensive lobbying to maintain funding. The position of Assistant is eliminated and the duties that were carried out by that position are returned to the Community School Coordinator. HIES receives $29,000 from the LINKS budget of School District 71 after extensive lobbying to maintain funding. HIES receives $20,000 from the LINKS budget of School District 71 after extensive lobbying to maintain funding. HIES receives an additional $10,000 from the LINKS budget of School District 71 to support programs for the Hornby youth. The Board responds to the direction of the Community and under its Community Programs aspect, initiates, facilitates, coordinates and sustains programs in a variety of areas that meet community needs. The Community Programs aspect of HIES operates with many local partners and links with off island agencies as well to provide as complete a service as possible. The Board’s main tasks are to oversee the Community Programs and manage the buildings that it owns: Room to Grow, the Teen Trailer and The Kitchen building. HIES manages the Hornby Island Community Fund, the Bruce Fairbairn Memorial Bursary, the Hornby Island Memorial Scholarship, the Seabreeze/Bishop Family Scholarship and partners with the Denman Community School and Denman Church to manage the Denman Island United Church Memorial Fund. Since the primary mandate of HIES is to provide services and programs that are accessible to all who wish to participate, subsidies are available to all who request them. Funding for the various programs and services comes from user fees, fundraising, the Ministry of Education, the Ministry of Children and Family Development, Hornby Island Recreation tax dollars and the Gaming Commission. Other program and/or project specific grants are obtained whenever possible. HIES continued to receive District funding and applied for and received Literacy 2010 funding. This allowed HIES to hire a Literacy Outreach Coordinator for 20 hours per week who could provide individual support for life long learning and reinstate the Adult Community Education program with a focus on Essential Skills. HIES continued to receive annual funding from the School District of $30,000. HIES received an additional $7500 from the School District to help co-fund a 12 hr/week Coordinator position within the school, whose role was to provide direct curriculum enhancement. HIES also applied for a new round of Gaming funding and was successful for the current year. HIES received an additional $10,000 from School District 71 to help fund the 20 hr/week Coordinator position within the school and was successful with its Gaming application once again. A thorough financial analysis of the current programs was carried out with Darren Bond leading the process. A financial review was carried out by Arlo McCubbin, a certified accountant and Notice to Reader statements prepared for 2013/2014 including comparative information from 2012/2013.